In 2015 Parties to the Water Convention decided to introduce a reporting mechanism by which to monitor and assess progress in the implementation of the Convention. A pilot reporting exercise took place in 2017 and 2018, the results of which are presented in this synthesis report. The report closely mirrors the structure of the reporting template. 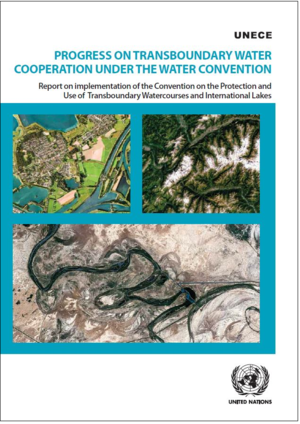 The introduction provides the context to the reporting process and its results, after which the report summarizes the responses to the main parts of the reporting template, namely: on transboundary water management at the national level; transboundary agreements and arrangements for transboundary waters; joint bodies for transboundary waters; and activities related to the implementation of transboundary water cooperation. In addition, a summary of responses to the questions related to the general challenges and achievements in implementing the Water Convention and transboundary water cooperation is provided. Download this publication in English.